Testing and developing new drugs and treatments for an illness is a costly endeavor, but drug companies thrive in this business by being able to sell medication to the sick – especially those suffering from common conditions. The more common a condition, the more profits drug companies will make selling their product. The more potential drug companies have to turn a profit, the higher the incentive the Food & Drug Administration (FDA) has to provide financial support to pharmaceutical companies. Unfortunately, this leaves those suffering from rare conditions with less support because drug companies have fewer individuals needing their product. Research is underfunded, and medication not developed. In 1983, two government programs were established to help those suffering from rare diseases. The Orphan Drug Act and the National Organization for Rare Diseases (NORD) were created in congruent with one another to provide pharmaceutical companies the means to develop new therapies, medicines, and treatments for rare diseases that had been largely or ignored or not sufficiently researched in the scientific and medical community. In 1983, only 38 orphan drugs had been developed. With the help of the Orphan Drug Act, over 400 orphan drugs have been approved as of 2014. To classify a disease as rare, the disease must affect less than 200,000 Americans a year. Muscular dystrophy, ALS, and Huntington’s disease are all illnesses that fit this category, as well as mesothelioma, which affects close to 3,000 Americans each year. Mesothelioma may be rare, but the nature of the disease has not only made it difficult to treat, but difficult to study. Mesothelioma is nearly always fatal, with the life expectancy from time of diagnosis averaging less than one year. The cancer is typically in the advanced stages by the time it is detected, and with the patients’ health deteriorating quickly, scientists and researchers are left with little time to investigate the best course of treatment, including clinical trials. For those suffering from mesothelioma, the Orphan Drug Act has helped immensely. While there is no cure for mesothelioma, first line chemotherapy treatments have been developed. Pemetrexed is an approved chemotherapy treatment for pleural mesothelioma and is the most common treatment available to date. Oral medication known as Nintedanib is still in clinical trials, but was recognized as an orphan drug in 2016. Once a new treatment is given the orphan status, its developing company receives a number of benefits such as tax credits for clinical trials, US market exclusivity, and exemption from certain FDA fees. This year marks the 35th anniversary of the Orphan Drug Act and NORD. Without these establishments, mesothelioma research could be largely unfunded, clinical trials would be at a minimum, and groundbreaking treatments may go undiscovered for years longer than necessary. 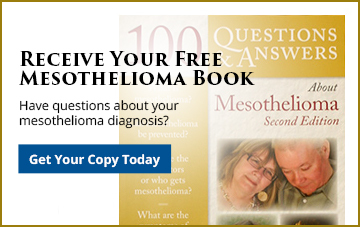 One of the most frustrating and devastating facts about mesothelioma is that the cancer is wholly preventable. Asbestos companies and manufacturers knew about the dangers linked to asbestos exposure but neglected to inform and protect their workers. If you are suffering from mesothelioma, lung cancer, asbestosis, or another asbestos-related disease, you may be entitled to compensation. Contact the attorneys at today for a free evaluation. Smokers and widows are encouraged to call.